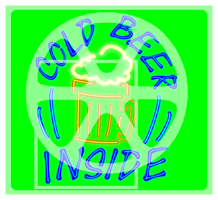 K_tigress's Creative log: NLP Cold Beer sign green screen version. NLP Cold Beer sign green screen version. Now out. The green screen version of Neon Lights Pub Beer sign. More stuff coming soon. Also soon to be featured on my personal web site along with some fixed links among other things.